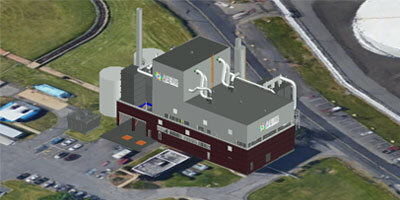 Oceania Clean Energy Solutions found a WtE solution in downdraft gasification including a lower carbon footprint and chose to partner with international technology provider Aries Clean Energy. 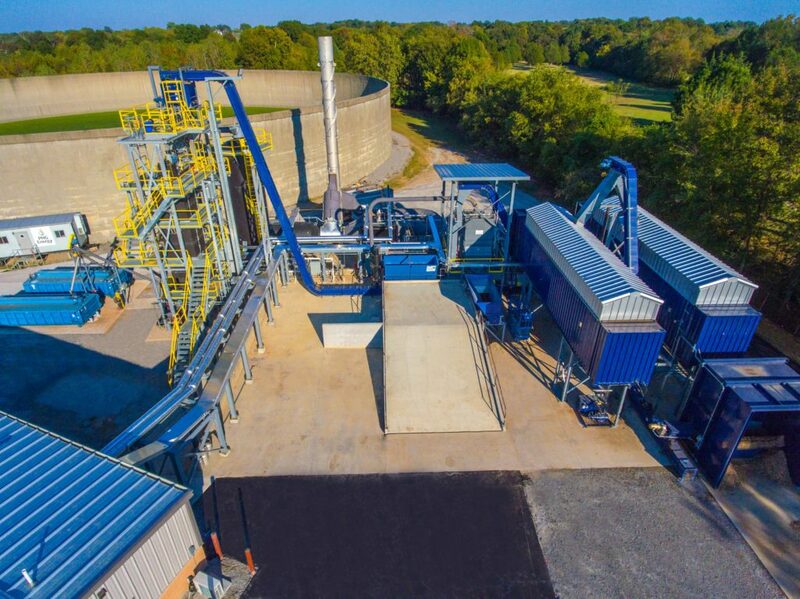 With state, territory and local governments making conscious decisions to close landfills or divert waste away from them, new resource recovery solutions are growing at a rapid rate. For example, in Victoria, the Statewide Waste and Resource Recovery Plan 2018 highlights a steady decrease in the number of licenced landfills exempt from licensing. One reason cited in the plan is local governments choosing to close landfills after assessing current and long-term costs. Victorian Government Environment Minister Lily D’Ambrosio is quoted in the same report as expecting to see up to 72 per cent of materials recovered for recycling or energy. Coupled with China’s ban on waste imports, the need emerges for new resource recovery solutions in Australia. 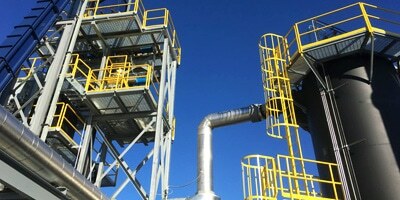 About four years ago, Australian turnkey plant provider Oceania Clean Energy Solutions began looking at systems to deal with contamination such as asbestos and other chemicals but found greater demand in the waste to energy (WtE) landscape. Jayson Maskell-drew, Technical Director at Oceania Clean Energy Solutions says the trigger for this demand was skyrocketing power prices in Australia. “Prior to the deployment of our system we looked at bringing it over and using it as a demonstration with a slow build up, but all of a sudden demand exploded,” Jayson says. 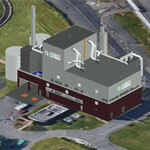 Oceania Clean Energy Solutions found a WtE solution in downdraft gasification, which it saw as having numerous benefits over incineration, including a lower carbon footprint and chose to partner with international technology provider Aries Clean Energy. Jeff Snyder, Senior Vice President of Business Development of Aries Clean Energy, explains that every thermal system will have an emissions signature, however gasification has a much smaller emissions profile compared to incineration. “This is because gasification uses much less air in the system when compared to incineration,” he says. Jayson says that after testing the systems out in US states such as California, Oceania Clean Energy Solutions last year began commercialising a turnkey solution to the Australian market. Manufacturing the systems to custom-fit the local market, Jayson says the key factor in getting the plant ready for Australian councils was ensuring it had up to 60,000 hours commercial run time. “The key goal was 60,000 our hours of operation so that end users didn’t have a research and development system, but a commercialised international best practice product,” he says. Jayson says that dwindling landfill space causing some legacy issues and a level playing field on landfill levies in some states such as NSW makes Aries Clean Energy’s Downdraft Gasification System a viable business proposition. “We are not reinventing the wheel, the only difference now was there was no price point or pinch previously for councils to make the switch, but with China’s ban on waste and rising power prices, they are now looking at alternative solutions,” he says. He estimates an average payback period return on investment for a 50-tonne a day system of about three to four years with an approximate tipping fee of about $100 a tonne. 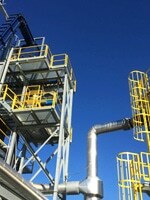 Aires Clean Energy’s Downdraft Gasification System is a thermo-chemical system capable of generating baseload power from a combination of feedstocks, including wastewater, wood, non-recyclable paper/cardboard, crop wastes, pre-sorted municipal waste, purpose-built biomass crops, shredded tyres and a range of other wastes. 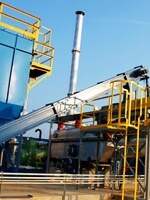 According to Jeff, the scalable industrial-grade system offers numerous benefits beyond eliminating landfill disposal, including predictable financial returns, hedging against power price increases, converting biomass to green energy, reducing greenhouse gases from landfill and producing a valuable by-product with agricultural and industrial uses. “Depending on the scale of pricing we can put power to the grid for as low as six cents a kilowatt,” Jeff says. He says that one of the benefits of the Downdraft Gasification System is it is small-scale and decentralised which allows it to be closer to waste generation and reduce transportation distances. The systems can also be tailored as required. Jeff says that reducing the transportation distance will reduce the emissions from the trucks that may have to haul waste long distances. “Additionally, our systems do not produce methane that is discharged into the air like a landfill or composting operation which allows our system to have a much smaller emissions profile,” Jeff says. Jeff explains that the gasification process operates on low oxygen content and at high temperatures that cause the waste fed into the system to go through a phase change from a solid to a gas. 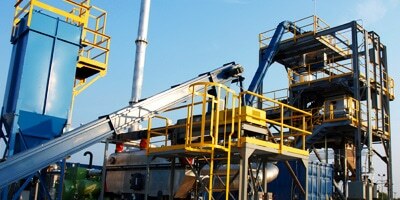 “Because the system operates at low oxygen levels the system produces biochar and not fly ash like incinerators. Because of the low oxygen content inside the gasifier no burning takes place,” Jeff says. Jeff notes that biochar produced from gasification has several benefits to the end user as it is a nonhazardous product that, when applied to soils, will help the soils retain water. He says that adding biochar to the soil is also a form of carbon sequestration. Once the syngas is produced, it is combusted in a process heater that generates thermal energy at 1800 Fahrenheit. 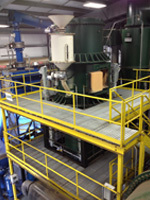 The hot air is then sent through a heat exchanger to heat a thermal fluid. The thermal fluid system is a closed loop system that drives electricity generation through Aries Clean Energy’s Organic Rankine Cycle equipment. Jeff says that the system uses best available control technologies to ensure it meets local or federal emissions standards. Pictured: Aries Clean Energy Lebanon Gasification Plant.